Helllloooooooo! I’m floating about, here, bobbing around with lots of iceberg-type piles of “to do” lists. Sky Dancers’ Draft number two is with the editor. It’s pub date is September 15th. Lots to do between then and now to get it published. I began a new novel that I’m really excited about. Wrote the Prologue this morning. It’s entitled Champion of Entean and is yet another Space Opera Romance. Maybe the book after Champion will stay on Earth. Who knows? I’m still having too much fun out there in the stars. Meanwhile, I’m beginning to research means for marketing. I’ve been collecting all sorts of website links (thanks to my dear friend Faith Freewoman over at http://www.Demonfordetails.com) which talk about the different ways an author can or should market their books. I began looking at them and now must decide how much I want to take on myself and how much I pay someone to do for me. Do I hire someone to fit together a plan for me? Do I hire an author assistant? I don’t know. My “to-do” list says to find a Marketing Mentor. I’m working on it. The social networking aspect of marketing…there’s lots of that kind of talk and advice. When did FaceBook become such a chore? When did it become so Orwellian? Get this…I was looking at my friends list. Nothing to do with my author page, right? These are just my peeps…and I was looking at the list, because so many of my friends’ comments are overshadowed by ads and pages I’ve liked. I do not have many friends in comparison to others. I’ve about 130 peeps and about a third of those are family. Anyway, using my list of friends, I like to cruise my friends to see what’s happening with them. So I’m doing that and, at the bottom are three people who are not my friends. Who are they? How did they get there? It said that I had friends in common with them. Still, I know for a fact that they never asked to be my friend and I never said they could be my friend. Of course, I unfriended them, but it is rather disconcerting wouldn’t you say? I’ve signed a petition this week that talked about what FaceBook aims to do with all the data they collect as we merrily post to our walls. They have plans to sell that data to corporations so we can get bombarded by tempting stuff that we don’t even realize we desperately need in order to be happy. I signed another one asking FaceBook not to record our private phone texts via the FaceBook smart phone app. Why-Oh-Why did FaceBook ever go public? Even before that, my PhD friend told me, FaceBook was sharing data with universities so they could study the affects of social networking with regards to different topics…without the study group’s permission of course. That was in 2008. Needless to say, I’ve been looking around for another social network site. I’ve found Path.com. It’s private. No ads, although it does have a ceiling for how many friends you can have. Plus, you can chose to share a Path post with Twitter, FaceBook and WordPress, my blog’s home. I like that feature very much, especially when pictures are involved. I like the taking and sharing of pictures. I tested it out and it works. So, anything authorish I wish to share with the world, I can do so from the privacy of my own little social network home. The only problem with Path is I’ve two friends! Everyone else is on FaceBook! Not sure if they’d move over to Path or Google+ or any of the others. Not sure if people are getting a little bored with it all. I hope not. I like keeping in touch with my faraway peeps this way. I’m going to mention GoodReads. Authors are encouraged to make themselves known on GoodReads. Alas, I’m too busy living my life, writing and reading to post on GoodReads. And now shall we speak of Twitter? I really don’t understand Twitter. Never have, although I tweet from time to time. To me, it appears it’s an “I’ll follow you if you follow me” type of marketing thing to get numbers. I did use it as my news source rather than TV. And I like following my favorite authors, especially the amusing ones. 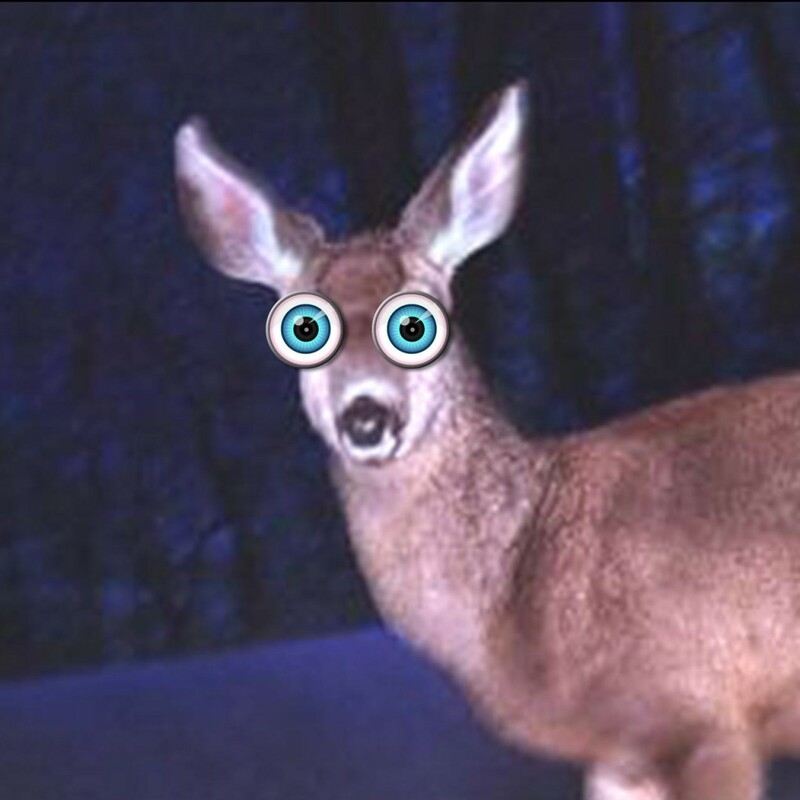 But, I go to my Twitter sight and look at the endless stream of verbiage…..and…I just sort of glaze over like that poor deer in the headlights everyone talks about. I lifted this deer picture from a Google image search. Don’t even know who to thank for that image. This is me, swimming in the marketing pool, looking like a deer in the headlights. I will need to understand the whys of things…hopefully my new marketing mentor will be able to explain all that to me. 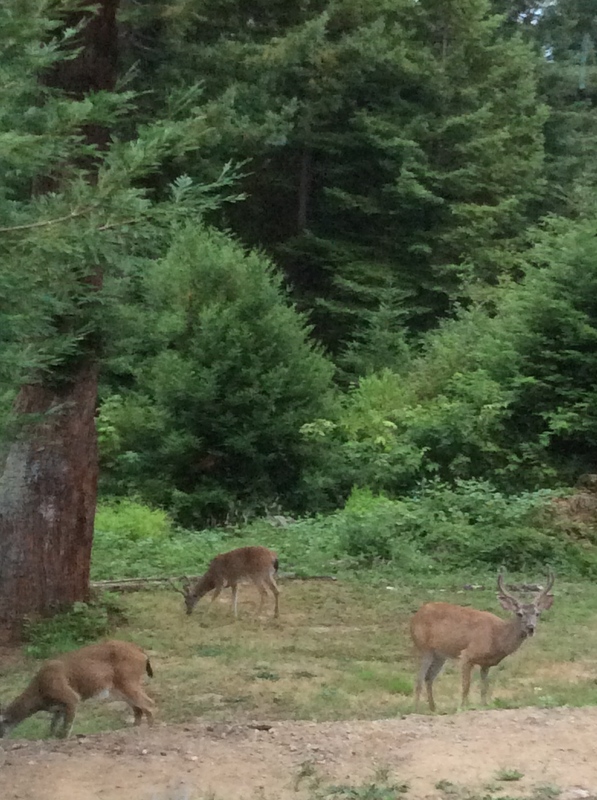 Speaking of deer, here are three young gentlemen who came visiting one evening last week. 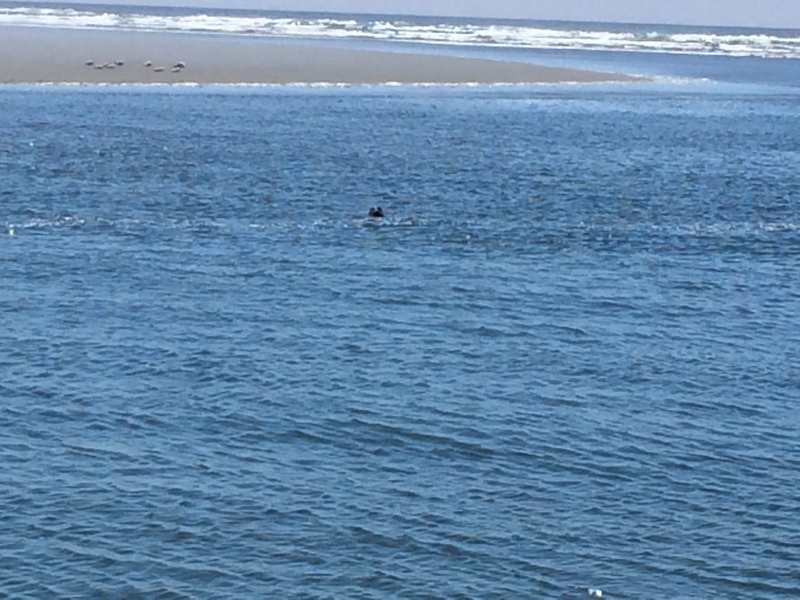 And a teeny tiny seal head taken on a walk I took at Clam Beach last Sunday. Have a great week, peeps. I think I’m going to head over to the shallow end,now. Love that deer in the headlights! I feel much the same re. social network stuff. I hope you find a great marketing mentor. There sure is a lot to know.